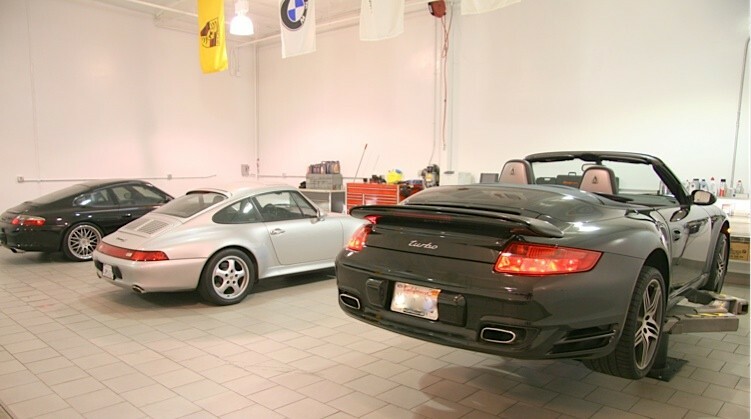 We are a one stop Porsche specialty shop that takes pride in outstanding customer service and an uncanny ability to articulate information to our clients in a non-technical manner. Our facility boasts an immaculate, almost sterile environment. This atmosphere is conducive to harmony for our employee's as well as our clients and their vehicles. Integrity Automotive is tireless with respect to our commitment to continuous education; furthermore this commitment lends itself to the use of the latest service techniques with state of the art electronics and equipment. Simply put, this creates a win win situation for our clients and staff. We look forward to exceeding all your expectations. This is one of those times where I am excited, in fact, blessed to write a letter about a service provider, now friend, who is exemplary in his field and leaves his competitors coughing in a trail of exhaust fumes. When I acquired my used Porche Carrera the mileage on the car was just over 10K. I knew I didn’t want to leave the servicing to a dealer so I sought out a professional service equal to the pedigree of the vehicle. I took to the Internet and dropped by a few places and I have to say I was unimpressed with not most but all the shops I visited and the mechanics I spoke to. Some of them treated me with a very condescending attitude. Others treated me as if I was an uneducated driver of a vehicle I didn’t deserve to own. I then happened on Integrity Motor Cars of Yorba Linda. When I visited the shop for the first time I was immediately impressed with the cleanliness of the facility and professionalism of the staff, in particular the owner, Sevan Garabedian, Master Mechanic. He treated me the way a mentor treats his students. He took the time to fully explain and educate me to all the idiosyncrasies of my vehicle and I feel he maintains my Porche and BMW as if he owned them himself! His knowledge of these cars is unparalleled to any other person I’ve ever met. 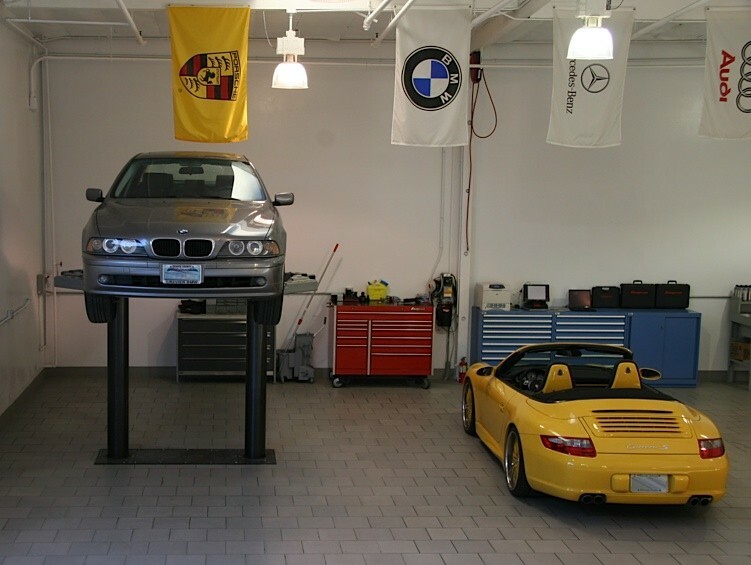 And seriously, you have to be totally remiss if you’re leaving the maintenance of your Porche, BMW or Mercedes Benz to any other “garage”! I cannot tell you how much I appreciate what you did for Kelsey and me. She could not stop talking about how NICE you and your wife are. She said you made her feel like a surrogate child! You took time to talk to her, and to me a couple of times, you picked her up… bought her a hot dog for Christ’s sake! She told me you gave her car tips and said if she ever needed something to give you a call. WHO ARE YOU? Seriously, there are few people in this world who would care enough to even THINK to do it but you DID it. Again, whatever you believe, karma? I am sure yours will come back many-fold! Thank you again for your excellent service and the time and attention you took to make this vehicle right again. It actually runs and performs like new! I will make sure to pass along a fantastic recommendation in any forum I find. I just wanted to take a few minutes to thank you for answering my panicked phone call a few weeks ago. I was the person who called from Connecticut because I could not find a dealer / Porsche service center open on the East Coast to answer my question. Mainly, I was worried that the running fan in my engine would cause some kind of fire or something worse than the dead battery you predicted I would have the next day. Anyway, it turned out that the fan relay was shot, it was replaced (after having to order the part from Germany) and so far so good! Thank you very much for your coaching and suggestions for questions to ask and how to evaluate service providers. I learned a lot in that phone call but most importantly, I learned that the world has wonderfully helpful people such as yourself who take time to help strangers. There aren't many quality honest auto mechanics out there but I have to say integrity motorcars is definitely one of them. I was looking for a high quality shop to mount and balance a set of new volk rims onto my lotus, and after a bit of research I decided to give this shop a try. This car is my weekend show car and I was looking for perfect service. Sevan took excellent care of me and listened to all of my concerns, as well as giving some of his own input as well for the best way to go about this process. I realize mounting and balancing wheels for high end, high speed race cars is not a simple task, so any shop I take my car to for this service needs to know exactly what they’re doing and have the best equipment available. Sevan’s knowledge and experience combined with the hunter gsp9700 machine (google the info on this if you haven’t already, this thing is awesome and is definitely one of the best out there) he uses fulfilled my requirement for a great auto service shop. This is a family run shop run by him and his wife, which I definitely consider a plus, because these sorts of shops will provide the most consistent service (but not necessarily the best!). It so happens though that this place also offers excellent service, and I only know of one other shop near Pasadena that has both of these qualities combined. My wheels were balanced perfectly, which are not as easy for the stock exige tires because there tends to be a good deal of inherent radial load variation. Since the installation, I’ve taken the car up to 145mph on a local track with no problems or vibrations whatsoever. At those speeds, having peace of mind that your vehicle was given the best service possible is always a plus for me. I don’t usually write reviews for these sorts of things, but it seems like not many people have written online reviews for Integrity motorcars because they are a low-key family run shop (their facilities are incredible though, all indoors, super clean, huge space), and since I also got a great price-point for my service, I’m writing this review as a thank you. Keep up the good work Sevan. I go to Integrity Motorcar for the personalized service, but also because they went above and beyond, like delivering my car back to me! And washing it 3 times …thinking I was going to pick up the car but can never find the time. Sevan’s the encyclopedia of high end cars - Mercedes, Audi, Porsche, BMWs. He will keep on going about minute details so beware if you start asking questions (smile). He’s also willing to go the extra mile to research Japanese car repairs too …our Nissan Xterra had problems in the past. Don’t have that car anymore! In an industry where customer service is crucial, Integrity Motorcar stands alone at the top. Their insight on European cars is unrivaled by the competitors. Bottom line Integrity Motorcar treats you like his only client and provides service that leaves the customer one hundred percent satisfied. In the German automotive world, Sevan translates it into English. A short note to thank you for your patience, time and consideration in what turned out to be a restoration of my 1998 Carrera S 993. Not only are you the best Porsche Specialist, but a true mechanical master with the ability to deal with an east coast lunatic. Every phase of the project right through to your overseeing the cross country delivery was impeccably handled. Best regards to you, your wife, and all of your staff. On March 9th, I took my Porsche in for repairs. I was impressed with Sevan's knowledge of not only the vehicles he worked on, but of tires and fluid specifications, as they pertained to my vehicle. Sevan took the time to share some of his knowledge with me. Integrity uses only factory authorized parts and lubricants. Work performed was first rate. For taking care of my car. You do awesome work!